Make a bold statement with our Gallery Wrapped Canvas. 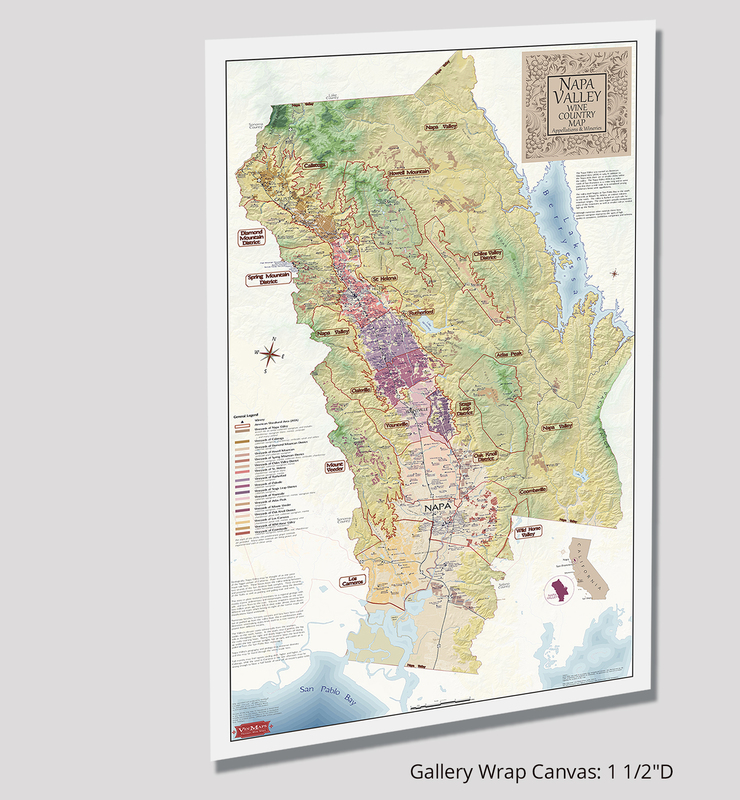 Our beautiful Napa Valley Wine Map celebrates one of America’s best known wine regions. 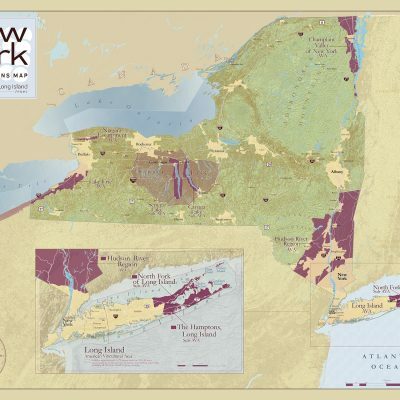 Sip and swirl your favorite Napa Valley Cabernet and explore vineyard areas, American Viticultural Areas (AVAs), and wineries of this world renowned wine region. With a stunning shaded relief background, our Napa Valley wine map is an extraordinary piece of cartographic art. A must have for the California wine lover. 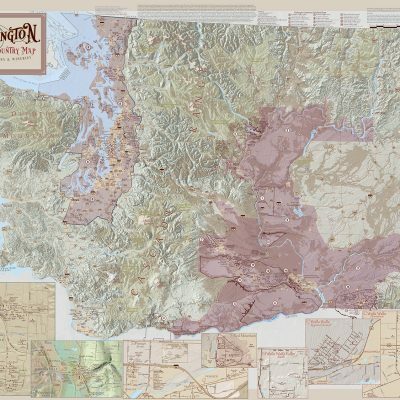 I purchased this map wrapped on canvas as a gift. Suzi provided excellent customer service!!! I’m very impressed with the quality and all the map’s details. I will definitely purchase additional maps!! !